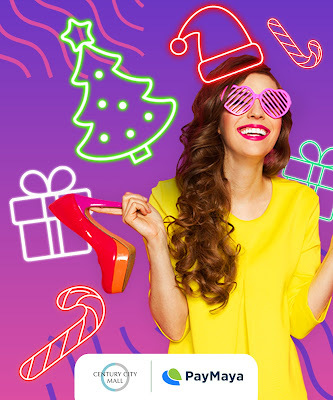 Come December 12, or more popularly known as the shopping holiday, 12/12, you can add a 20% cashback of up to P200 on top of the array of discounts and deals you’ll get when you shop at sites like Lazada and Zalora using your PayMaya virtual or physical card. Shopping? It’s more fun with PayMaya! Whether you’re shopping online or offline, PayMaya offers a convenient and safe cashless payment experience, proving to be the perfect shopping buddy this holiday season. To unlock the awesome discounts and cashbacks exclusive to PayMaya users, all you have to do is download the PayMaya app, register, and load up your account at any of PayMaya’s add-money stations. You can use your PayMaya app to pay for the things you love online - from a cute purse at Zalora, to airfare tickets at Philippine Airlines, and even to your subscription on Netflix. Also get extra perks and discounts when you #ScanToPay for your purchases in your favorite mall stores including The SM Store and Robinsons Department Stores, among many other merchants accepting PayMaya cards and PayMaya QR payments. 10 million reasons to celebrate the holiday season! On top of these amazing cashbacks, you can also get a chance to win P10,000 everyday for the entire month of December, as well as P10,000,000 in the grand draw of the “PayMaya Pa More!” Raffle Promo.